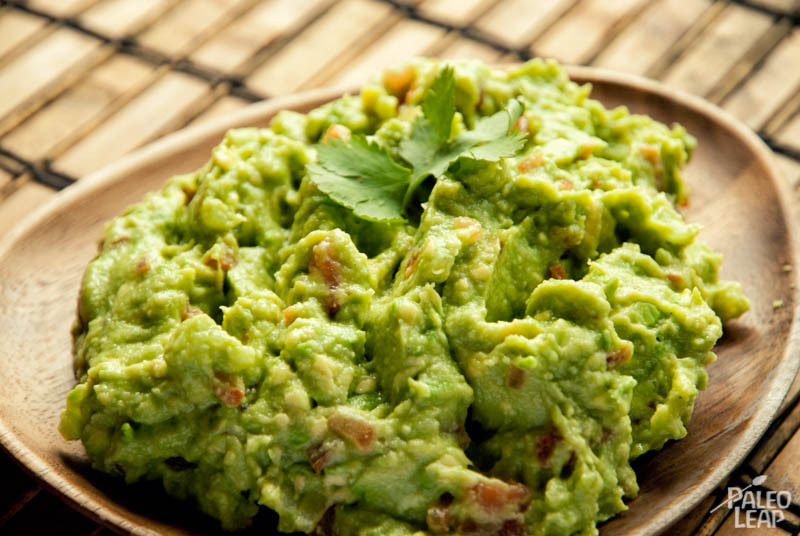 Guacamole is really quick and easy to make and will satisfy everybody. Avocados are almost 75% fat and most of it is monounsaturated, so it’s really a great thing to consume on a regular basis. Avocados are also full of potassium, vitamin K, vitamin E and B vitamins. To my surprise, I discovered that they have a very high amount of fiber, 75% insoluble fiber and 25% soluble fiber. Guacamole is usually consumed with tortillas, but we know better than corn and grains and prefer to have guacamole with raw vegetables or simply right off the spoon since it’s so good and healthy. Open the avocados and scoop out the flesh. An easy way is to cut it length-wise around the pit and than using a chefs knife strike the pit and then twist the knife so you can easily remove the pit and scoop out the flesh. Try not to eat it all right away and keep some for your guests or family!